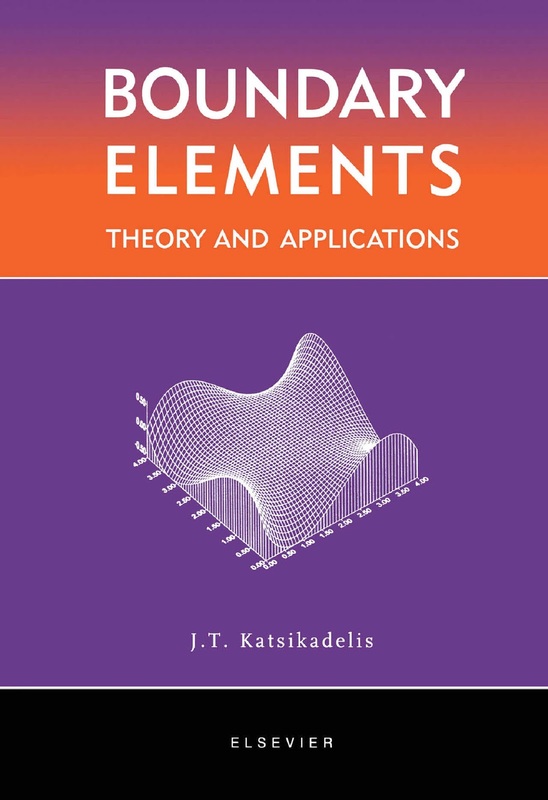 with introducing the methods used for ensuring that failures do not occur. on the heads of women. construction purposes it must be liquefied. This implies heating. 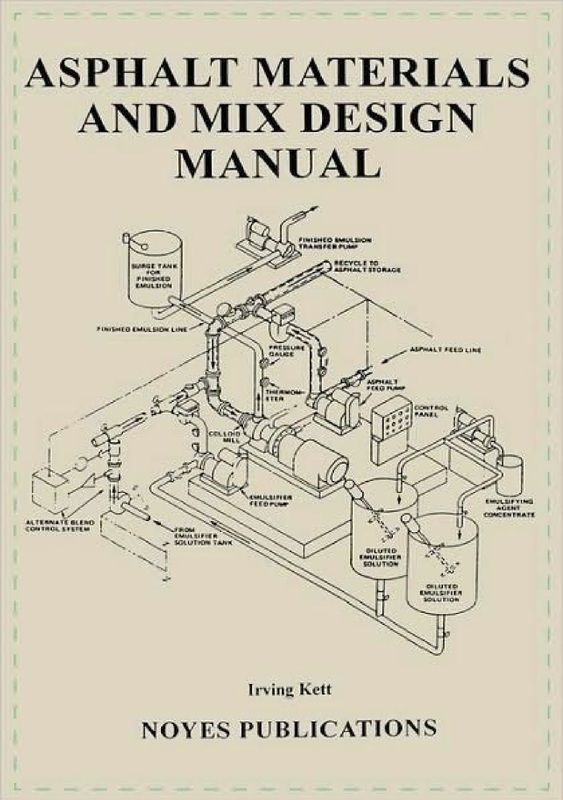 which have been developed specifically for The MANUAL. Percent Air Voids, and Percent of Voids filled with Asphalt. materials need to be consulted. 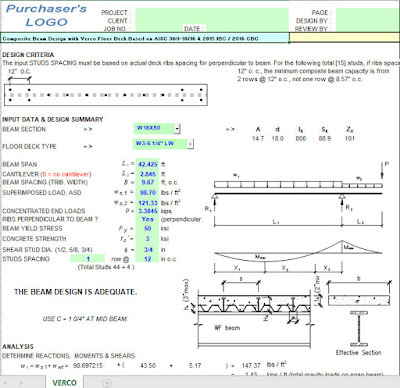 Composite Beam Design with Verco Floor Deck Spreadsheet provides the analysis and design of composite beams. 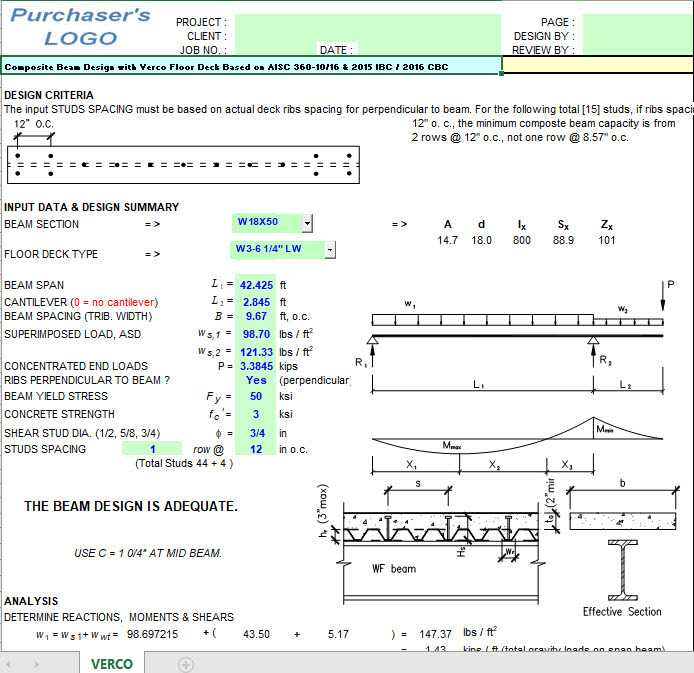 The input studs spacing must be based on actual deck ribs spacing for perpendicular to beam. houses also have concrete floors. for more user complaints than any other building element except roofs. ● A floor must be designed around the user’s needs and wishes. must consider other important properties of the floor. 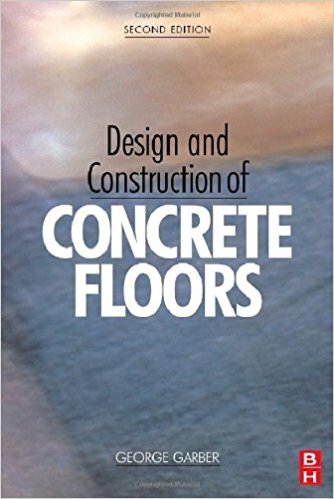 properties of the floor surface. 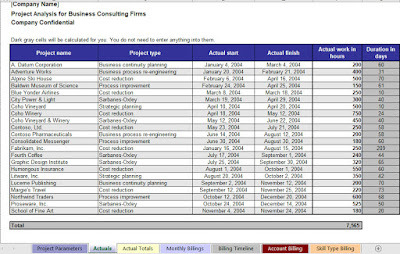 ● Performance specifications usually work better than method specifications. ● Single-course floors usually work better than double-course floors. ● National standards should be used with care. ● Lessons from roadbuilding should be applied to floor construction. ● Remedies for bad work should be specified before the bad work occurs. studies, and more rigorous applications. 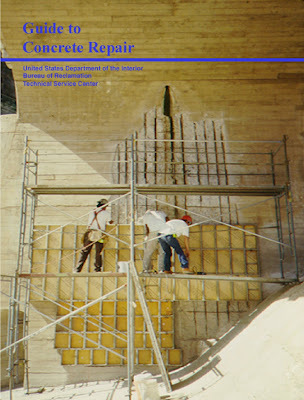 the concrete placing, finishing, and curing history. The compressive strength of concrete is relatively high. which is small compared with its compressive strength. 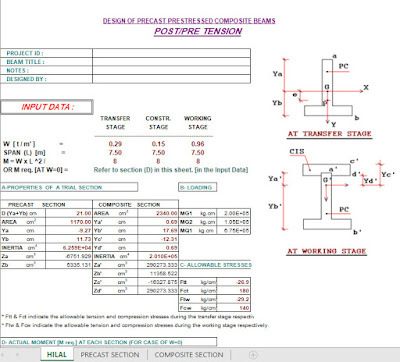 who are using boundary element software in industry. member in Chapters 3, 4 and 5.
in practice one seeks to avoid them. The precast prestressed concrete units are erected first and can be used to support the formwork needed for the cast in situ slab without additional scaffolding (or shoring). 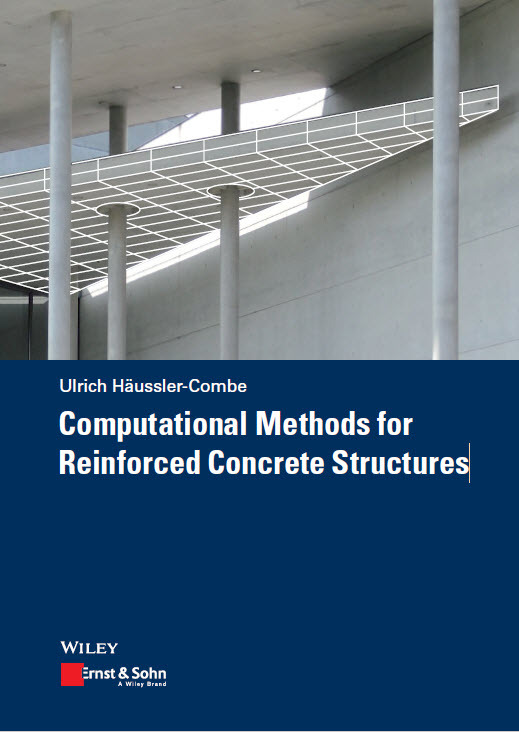 In addition to its contribution to the strength and stiffness of the composite member, the cast in situ slab provides an effective means to distribute loads in the lateral direction. The cast in situ slab can be poured continuously over the supports of precast units placed in series, thus providing continuity to a simple span system.Pre-tensioning in plant is more cost-effective than post-tensioning on site. 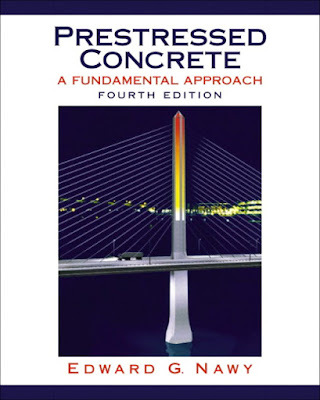 Because the precast 4 prestressed concrete element is factory-produced and contains the bulk of reinforcement, rigorous quality control and higher mechanical properties can be achieved at relatively low cost. The cast in situ concrete slab does not need to have high mechanical properties and thus is suitable to field conditions. and future industry and societal impacts are also explored. BIM and radio-frequency ID tagging, have already been used in practice. 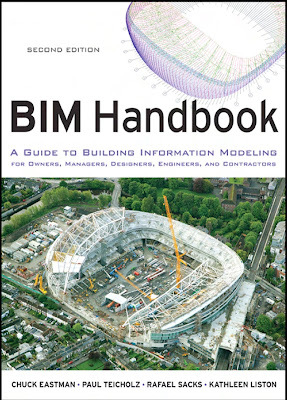 laser scanning and BIM servers. It also includes six new case studies. 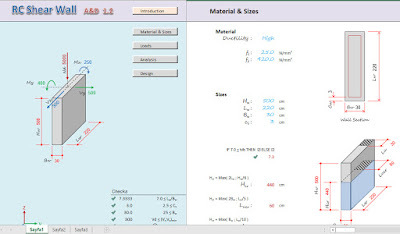 RC shear wall analysis and design excel sheet easy to use yet innovative construction spreadsheet is used to make the design of shear walls subject to wind and dead load combination. 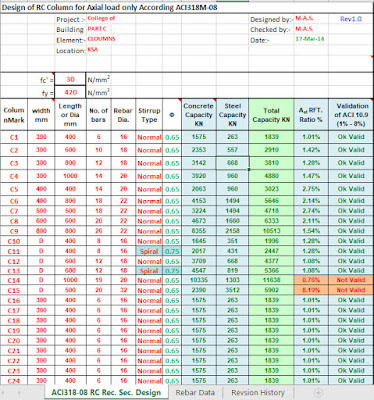 This shear wall design spreadsheet is very useful verifying constancy toward reinforced concrete structure. 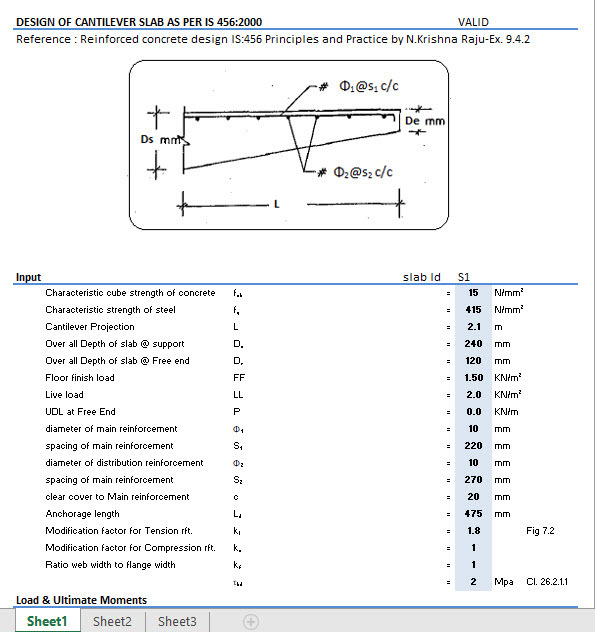 It takes huge time while measuring & then remeasuring wall stiffnesses, direct and torsional rotation component of force to then estimate reinforcement and concrete stresses for a single wall successively. 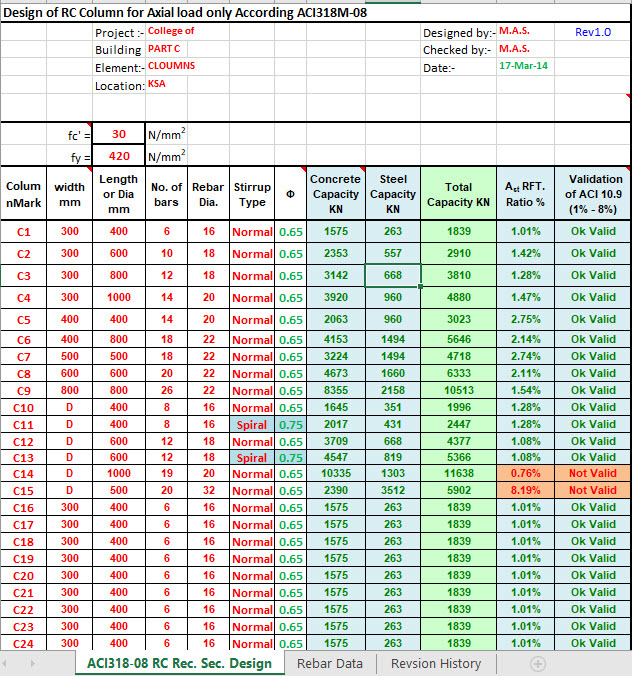 This shear wall design spreadsheet can significantly decrease your design time. 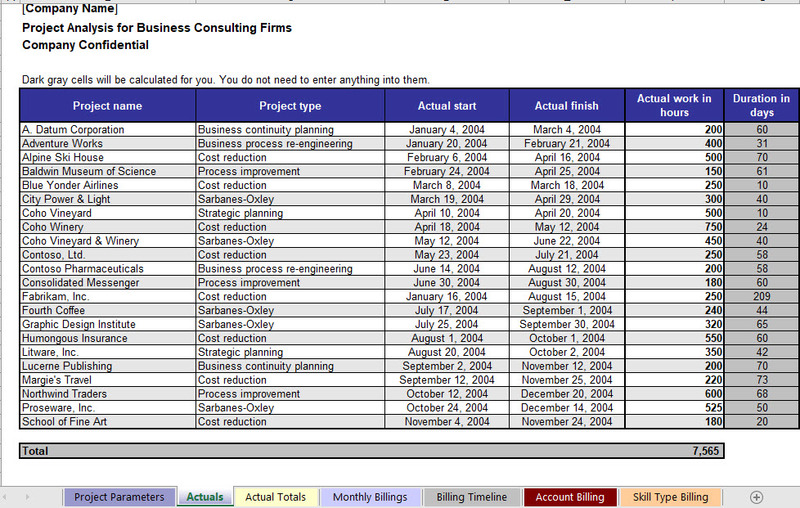 Presently, the sheet does not support the earlier version of excel like Excel 2003 and so on as these do not make out iferror function. 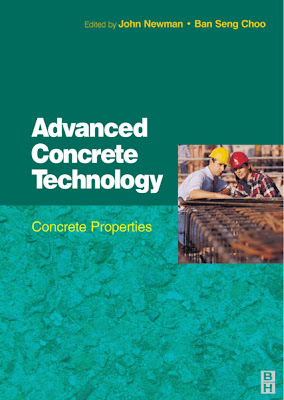 This guide contains the expertise of numerous individuals who have directly assisted the author on many concrete repair projects or freely shared their concrete repair knowledge whenever requested. 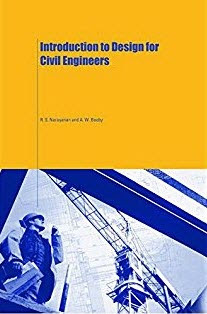 Their substantial contributions to the preparation of this guide are acknowledged and appreciated. 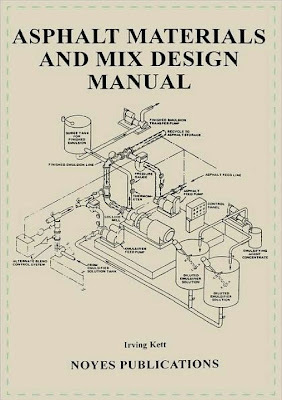 Some of the material in this guide originated in the various editions of Reclamation’s Concrete Manual. The author edited, revised, or updated this information for inclusion herein. 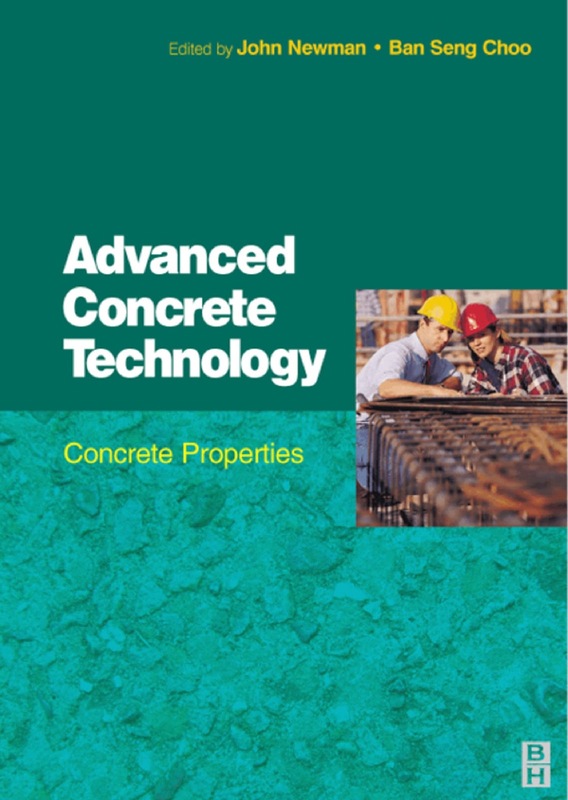 concrete is a very durable construction material and, if properly proportioned and placed, will give very long service under normal conditions. 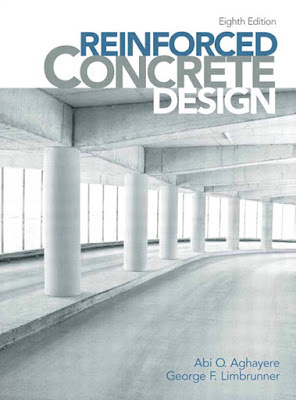 Many Reclamation concrete structures, however, were constructed using early concrete technology, and they have already provided well over 50 years of service under harsh conditions. Such concrete must be inspected regularly to ensure that it is receiving the maintenance necessary to retain serviceability. Managers and foremen of operation and maintenance crews must understand that, with respect to concrete, there is no such thing as economical deferred maintenance. Failure to promptly provide the proper necessary maintenance will simply result in very expensive repairs or replacement of otherwise useful structures. Figures 1 and 2 demonstrate the folly of inadequate or inappropriate maintenance. These two structures now require replacement at a cost tens of times greater than that of the preventive maintenance that could have extended their serviceability indefinitely. Analysis of concrete slabs on grade is a spreadsheet program written in MS-Excel for the purpose of analysis of concrete slabs on grade. Specifically, a concrete slab on grade may be subjected to concentrated post or wheel loading. 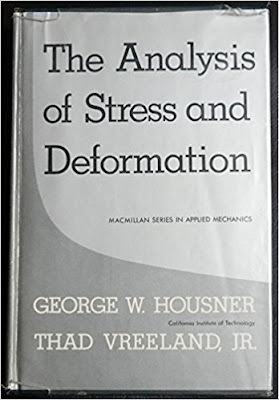 Then for the given parameters, the slab flexural, bearing, and shear stresses are checked, the estimated crack width is determined, the minimum required distribution reinforcing is determined, and the bearing stress on the dowels at construction joints is checked. 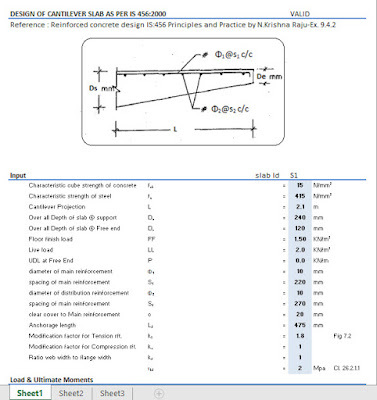 Also, design charts from the Portland Cement Association (PCA) are included to provide an additional method for determining/checking required slab thickness for flexure. 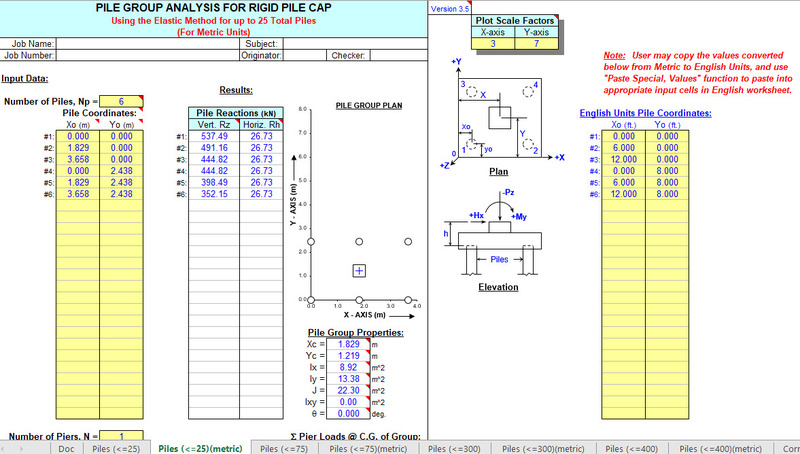 The ability to analyze the capacity of a slab on grade subjected to continuous wall (line-type) load as well as stationary, uniformly distributed live loads is also provided. 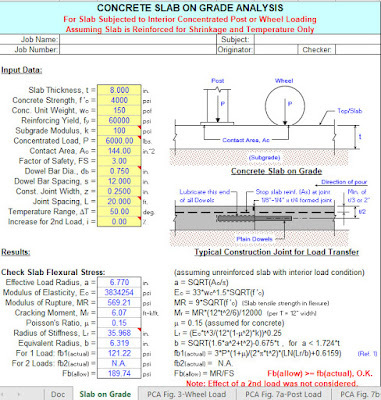 Loading data for fork trucks and AASHTO trucks is included. concrete is suitable for those proposed or favoured. 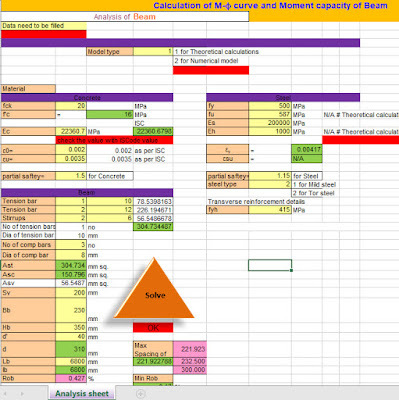 concrete to be produced at lower water/binder ratios thus increasing the in-situ strength. loss of workability before setting are then briefly considered. 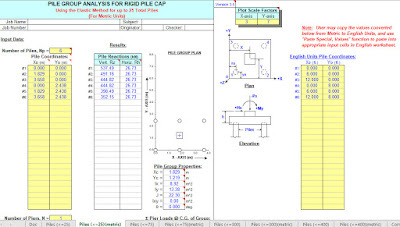 Capacity Calculations of Structural Members Excel Sheet calculate the capacity of different structural members such as beams modules , Columns, Foundations and Slabs.The excel sheet also allow you to design the required reinforcement area and a spacing of reinforcing bars within the cross-section of a concrete structure element. 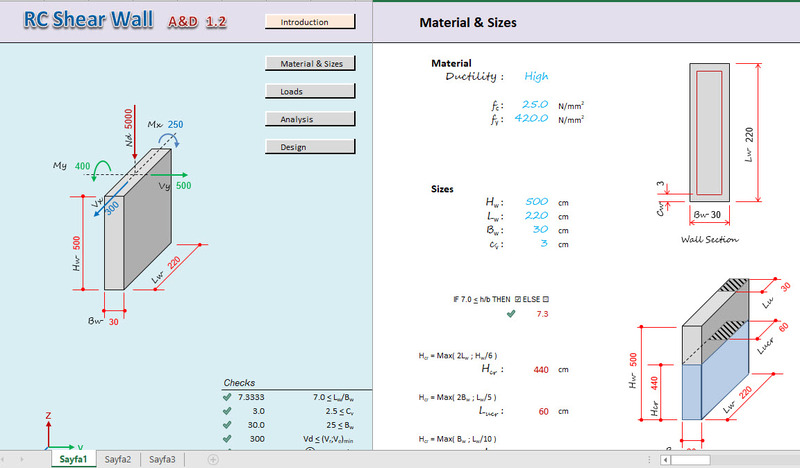 The RC Member Design module allows you to obtain a theoretical (required) area of reinforcement for selected concrete members. variational methods is presented in Appendix IV. 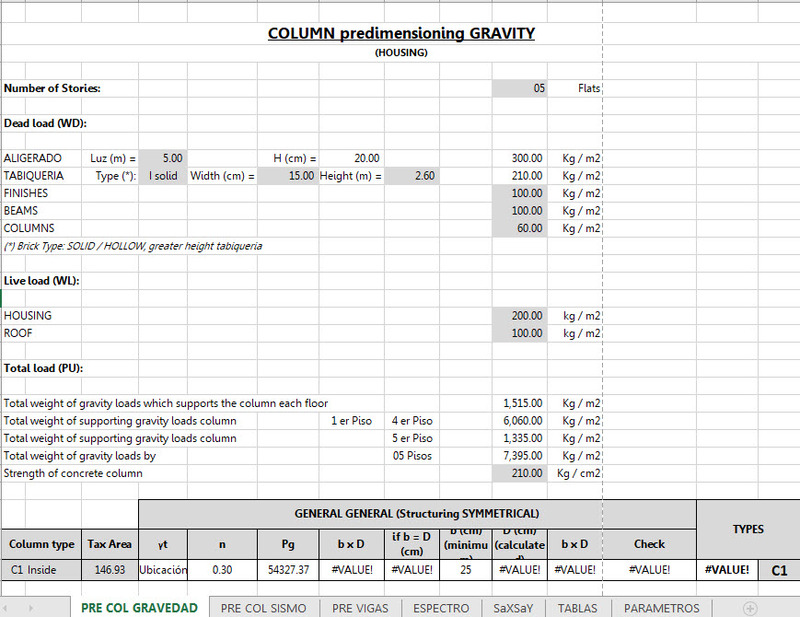 Design of columns are carried over a group of columns having a low variation of design values. In this group, design is carried for the highest values of axial force, moments about Y and Z directions, shear about Y and Z directions as well as torsion. 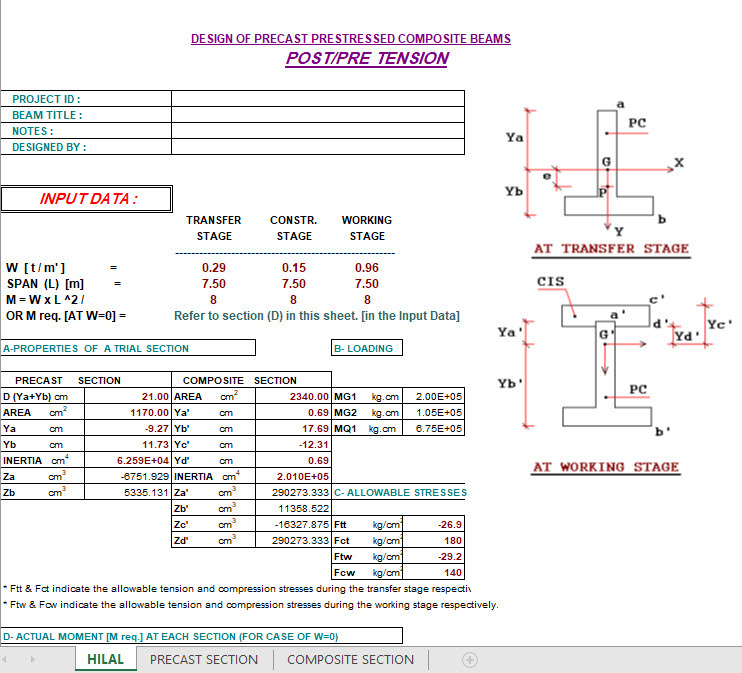 However, it is a common practice among designers to ignore shear and torsion in columns. 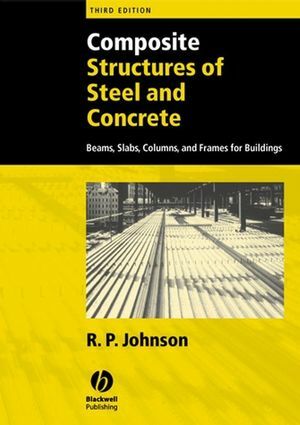 This practice will reduce safety factor in columns which are critical structural members responsible for the safety of the structure.